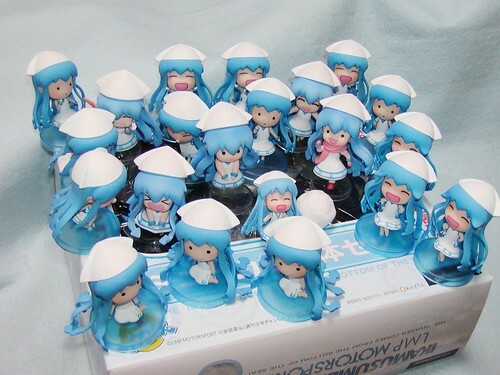 Do you remember the Petit-sized mini Ika Musume that was being sold as a limited, exclusive, and sponsorship based goodies by LMP Motorsport? Yep, the one that consists of five mini Ikas and costs you 9450 Yen. 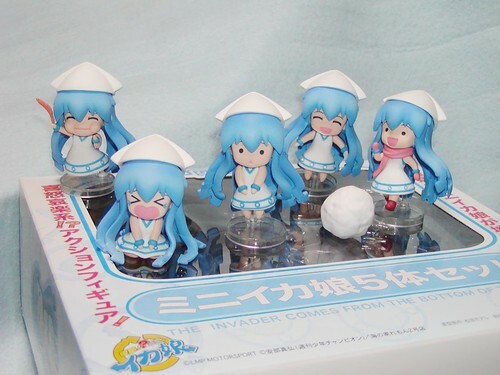 This entry was posted in News and tagged ika musume, nendoroid, petit, puchi, shinryaku ika musume. Mine should arrive in few days… it was so long ! On the official website of the Nendoroid they were supposed to be released in September… Finally it will be January. Very cute, and I don’t regret not ordering for that price, I’m fine with the Figma, and hopefully a Nendoroid later on. I regret it every day.